BetonBrazil is one of the newest gambling sites out there having been created in conjunction with Euro 2016. Despite being just a little nipper, this site has grown up pretty quickly and is more than punching its weight in the world of online gambling. The face of the company is Scottish broadcaster and former footballer Alan Brazil, anyone who listens to his famous TalkSport show will know how much he loves a dabble and he is the perfect face of this company. The website offers a range of sports but their real focus lies in football and they regularly offer incredibly competitive odds across many different markets. BetOnBrazil have a tasty £50 Welcome Bonus when signing up a new account with Bet On Brazil. Your account will be rewarded with 50% of your very first stake, absolutely free. Sign up via link at the end of this post. Deposit anywhere between £10 and £100 using a debit or credit card and enter the code BRAZIL50. As soon as your qualifying bet has been settled, you will see 50% of your stake in your account by way of a free bet up to £50. For this offer, you need to make deposit of £100, you will then receive a £50 bonus. For the bonus cash to become withdrawable you need to complete £900 of wagering. 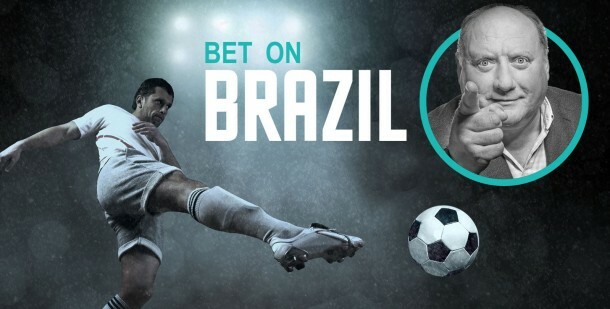 BetOnBrazil are huge on footie and have their own football enhanced odds specials and accumulator offers on the site which will appeal to anyone who loves the beautiful game. Get on it!